Hello Readers! Today I bring you author Jennifer Estep. Jennifer writes the Elemental Assassin urban fantasy series for Pocket Books and the Mythos Academy young adult urban fantasy series for Kensington. 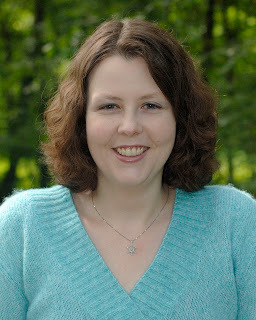 She is also the author of the Bigtime paranormal romance series. Jennifer is a Southern gal through and through: sassy, sarcastic, and just a tad crazy. She spent her formative years doing the usual kid things – playing, hanging out with friends, and making up wild stories in her head. She says that it’s the last one that’s gotten her into trouble. Now, after many, many years of toil and trouble, Jennifer has achieved her dream of being a bona fide, published, fiction author. She says that she plans to keep on keeping on – writing, dreaming, making up wild stories in her head. And getting herself into trouble. Widow’s Web, the seventh Elemental Assassin story, released last week. Keep reading to learn more about this story and be sure to check out my review of Widow’s Web HERE. And for a chance to win a copy of Widow’s Web, keep reading! Please help me welcome Jennifer to That’s What I’m Talking About. Twimom: Jennifer, welcome and thank you for stopping by. Jennifer: Thanks for hosting me on your blog. I appreciate it. Twimom: Okay, as you know, I am a late-comer to Gin (heroine of the Elemental Assassin series), and I want to thank you for your patience and for being helpful finding me a great entry point with the novella, Thread of Death. Although I was able to easily jump into your wonderful series at that point, can you give me (and my readers) some background about Gin, the Elementals and your series? Jennifer: Thanks for all the nice words about my books. I appreciate them. The Elemental Assassin urban fantasy series focuses on Gin Blanco, an assassin codenamed the Spider who can control the elements of Ice and Stone. When she’s not busy killing people and righting wrongs, Gin runs a barbecue restaurant called the Pork Pit in the fictional Southern metropolis of Ashland. The city is also home to giants, dwarves, vampires, and elementals – Air, Fire, Ice, and Stone. Twimom: What does the future hold for Gin and the Elemental Assassin series? 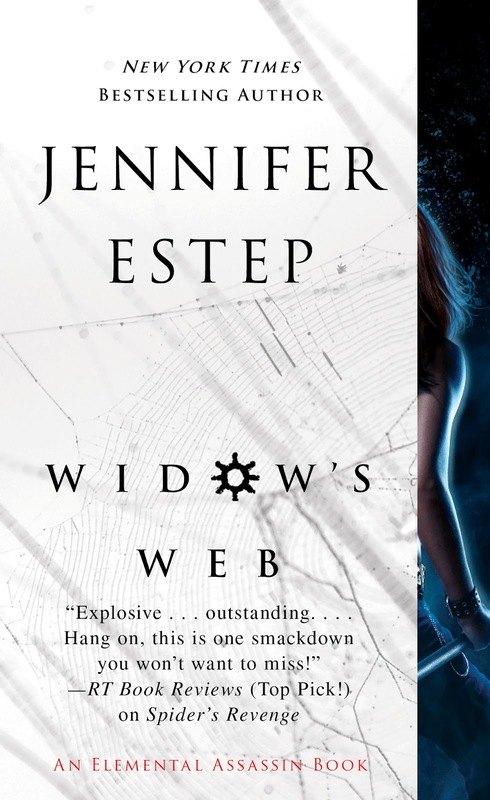 Jennifer: Widow’s Web, the seventh book in the series, was published on Aug. 21. I can’t say too much about that book, other than that I do have a plan for Gin and the other characters. As of right now, there will be at least ten books in the series, so Gin will definitely be facing down some more bad guys. Twimom: Okay, I guess I will have to just wait. Eagerly wait. You also author young adult urban fantasy series, the Mythos Academy series. Will you share with us a bit about this series as well? Jennifer: The Mythos Academy young adult urban fantasy series focuses on Gwen Frost, a 17-year-old Gypsy girl who has the gift of psychometry, or the ability to know an object’s history just by touching it. After a serious freak-out with her magic, Gwen is shipped off to Mythos Academy, a school for the descendants of ancient warriors like Spartans, Valkyries, Amazons, and more. Twimom: What was the drive to create a YA series after having two adult series? Do you prefer writing one over the other? Do you have a preferred genre to write? Jennifer: I just thought that my Mythos Academy series would work better as a young adult series. Plus, you always want to grow and stretch as a writer. I had been wanting to branch out a little and write in another genre, and writing a young adult series let me do that. I don’t really prefer writing in one genre over the other. They all have their challenges, and it’s been fun for me to tackle the different genres. Most of my books have some of the same elements in common – a strong, sassy heroine, magic, romance, and lots of action/fight scenes. I would just say that I’m telling a little more of a coming-of-age story with my Mythos Academy books. Twimom: Do you have any other projects in the works that you would like to share with us? Jennifer: Deadly Sting, the eighth book in my Elemental Assassin series, is set to be published in April 2013. Crimson Frost, the fourth Mythos Academy book, will be released on Dec. 24, 2012. So right now, I’m pretty busy working on both of those series. Twimom: And your readers are thankful that you are working on those books! I always like to ask authors about their reading habits… What types of books do you enjoy reading? What is your favorite read so far in 2012? Jennifer: I like to read just about everything – all kinds of romance, young adult, westerns, mysteries, thrillers, spy books. Lately, I’ve been reading a lot of contemporary romance and young adult books, which are two genres that I really enjoy. One of my favorite reads so far this year is The False Prince by Jennifer A. Nielsen. It’s an epic fantasy young adult book that’s about an orphan and some other boys who are recruited to try to impersonate a long-lost prince. Jennifer: I’m looking forward to Dream Lake by Lisa Kleypas, which was published in August. I really like her contemporary romances. I’ve also heard a lot of good things about Shadow and Bone by Leigh Bardugo, a young adult book, so I’m looking forward to getting that one as well (it’s already out). I’m also looking forward to Shadow’s Claim by Kresley Cole, which is a spin-off from her Immortals After Dark paranormal romance series. Twimom: Jennifer, once again thank you so much for taking the time to tell my readers a little bit about yourself and your writing. It was wonderful chatting with you. 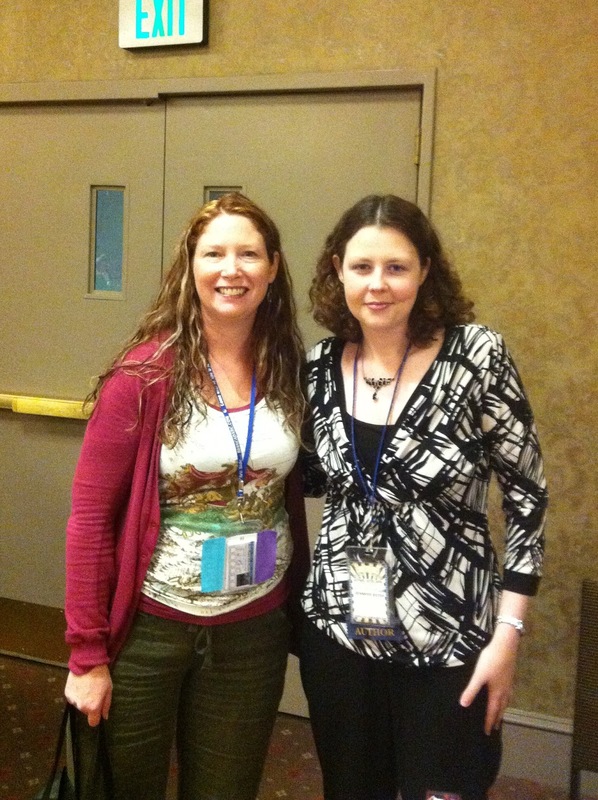 I really enjoyed meeting you at 2011 Authors After Dark in Philly, and hope we can meet up again! Jennifer: Thanks! I appreciate that, and I enjoyed meeting you too. Happy reading, everyone! Once an assassin, always an assassin. So much for being plain old Gin Blanco. With every lowlife in Ashland gunning for me, I don’t need another problem, but a new one has come to town. Salina might seem like a sweet Southern belle, but she’s really a dangerous enemy whose water elemental magic can go head-to-head with my own Ice and Stone power. Salina also has an intimate history with my lover, Owen Grayson, and now that she’s back in town, she thinks he’s hers for the taking. Salina’s playing a mysterious game that involves a shady local casino owner with a surprising connection to Owen. But they call me the Spider for a reason. I’m going to untangle her deadly scheme, even if it leaves my love affair hanging by a thread. Thank you to Jennifer Estep for stopping by today and also for generously donating one (1) copy of Widow’s Web to giveaway. To be entered, please use the RAFFLECOPTER form below. As part of your entry, please leave a comment answering the question: Have you ever read a YA and adult series from the same author (if so, who)? You do not need to be a google friends connect follower of my blog, but it is always appreciated. Contest is open from August 27, 2012 until September 1, 2012 at 12:01 AM EDT. Contest is restricted to US mailing addresses only. One (1) winner will be selected from eligible entries. I am not responsible for items lost in the mail. If you have problems with the RAFFLECOPTER form, please email me at twimom227 (at) gmail (dot) com. Jennifer is one of my favorite authors and I can’t wait to get my hands on this book. With 3 kids, one 7 months old, finding time to read is hard, but I can do it! No, I haven’t read an adult & YA by the same author. However, J.K.Rowling has an adult book coming out so that may change. Very little of the YA out there appeals to me. I just started reading Kelly Keaton’s YA series. I love her adult series(Kelly Gay). Thanks for the chance. 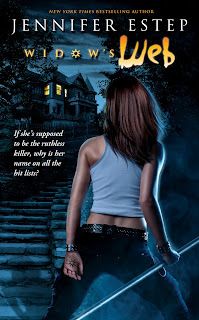 I really enjoy Jennifer Estep’s books. Peaches — Thanks! Glad you are enjoying my books. Ivy — Thanks! I think the new Rowling book looks interesting. Sariah — Thanks! Glad you are enjoying my books. I have read Jennifer Estep’s “Mythos” series, and I LOVE it!!!!! Mariehahn12 — Thanks! Hope you get a chance to check out my books. Stay_Cee — Thanks! Glad you are enjoying the series. Barbara — Thanks! I appreciate all the nice words about my books. Glad you are enjoying them. I’m a big fan of Kelley Armstrong and have read both of her adult series and YA series. (Of course, Jennifer Estep is also one of my all time favorites). Whitewolfreads — Thanks. I appreciate that. I have read a few, Kenyon’s Dark Hunters/Dream Hunters and her Chronicles of Nick along with Deborah Cooke’s Dragonfire and Dragon Diaries series. I haven’t read your adult novels yet, but I LOVE the Mythos Academy! I haven’t read a YA & adult series by the same author. But I’m excited about the new J. K. Rowling book. Una — Thanks! Glad you are enjoying the Mythos Academy series. Book Geek — Thanks! I’ve heard a lot of good things about Kenyon’s YA series. AsianCocoa — Thanks! It seems like everyone is excited about the new Rowling book. I have read Richelle Mead’s VA and Succubus series one is YA and one is not YA. I really enjoyed them both and thought she did well transitioning between the two! I have read sophoe jordan YA series and It’s nice to read her as both a ya and adult author. Texas Book Lover — Thanks! I’ve heard a lot of good things about Mead’s books. Julie — Thanks! I’ve heard a lot of good things about Jordan’s books.